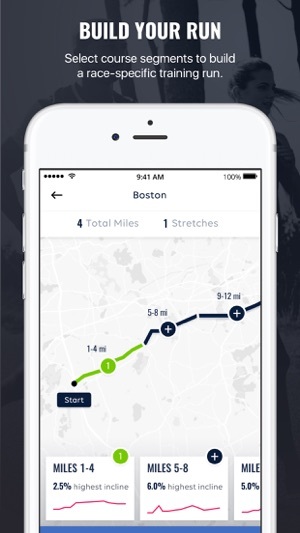 Run actual marathon, half marathon, and run portions of triathlon courses on any treadmill. At least one course is free at all times. Choose from top courses, including all six non-Championship courses of the Marathon Majors, and the run portion of multiple triathlon courses, including Kona, Oceanside 70.3 and Challenge Roth. Train for challenging hills along each course, experience what the course is really like, and elevate your marathon training with professional coaching through an 18-week program. 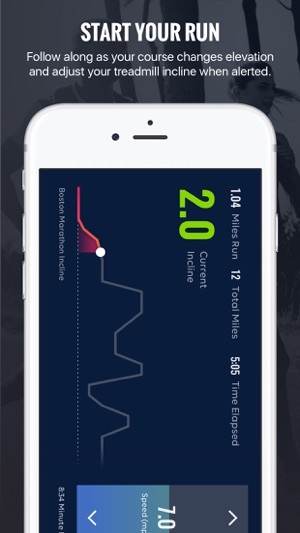 As you run, the RunBetter App will alert you to incline changes along the course, display time elapsed and distance covered, and will provide running tips to keep you motivated! 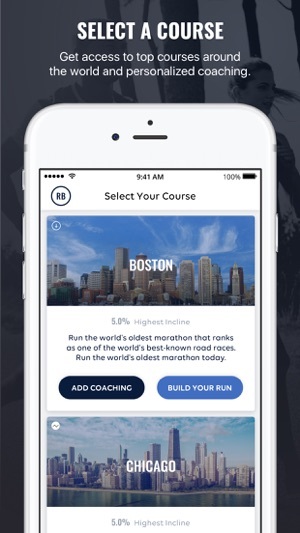 Through the Course Builder Subscription, access RunBetter’s complete library of courses for a small fee. $4.99 monthly subscription or $49.99 yearly subscription. Living in the Midwest, cold, snow and ice are inevitable. But not running isn’t an option when training for a spring race. 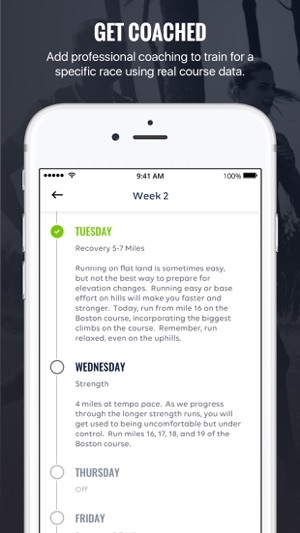 RunBetter has changed how I train in the winter. Now I can not only stay warm from the cold, but can get hill workouts in that I couldn’t even get outdoors! So glad I have this app now! Thank you for your app, it makes the treadmill more bearable. I also can train for Big Sur & get my hill training in. Just don’t switch from the app, when I wanted to take a picture of something I switched & lost my run. All in all though, makes me run faster on the treadmill! Thank you!! 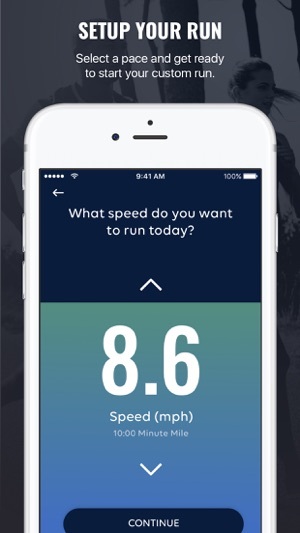 This app makes a treadmill session tolerable. The elevation changes give me something to do and I like the association to actual courses. So far it’s a better workout than my previous routine. I’m running farther and at higher inclines. And thankfully it feels like time passes faster.